Vitamin D3 is the body’s preferred form of Vitamin D. Sometimes called the “sunshine vitamin” because it’s produced in your skin in response to sunlight, it is an essential vitamin for many metabolic processes in the body. 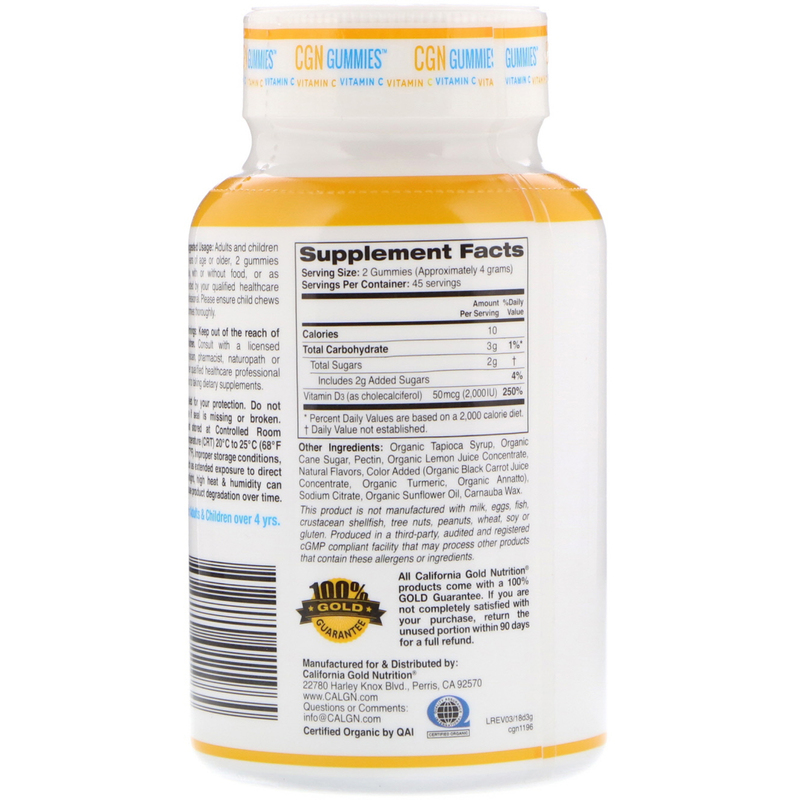 It helps regulate the absorption of calcium and phosphorous, and supports normal immune system function. 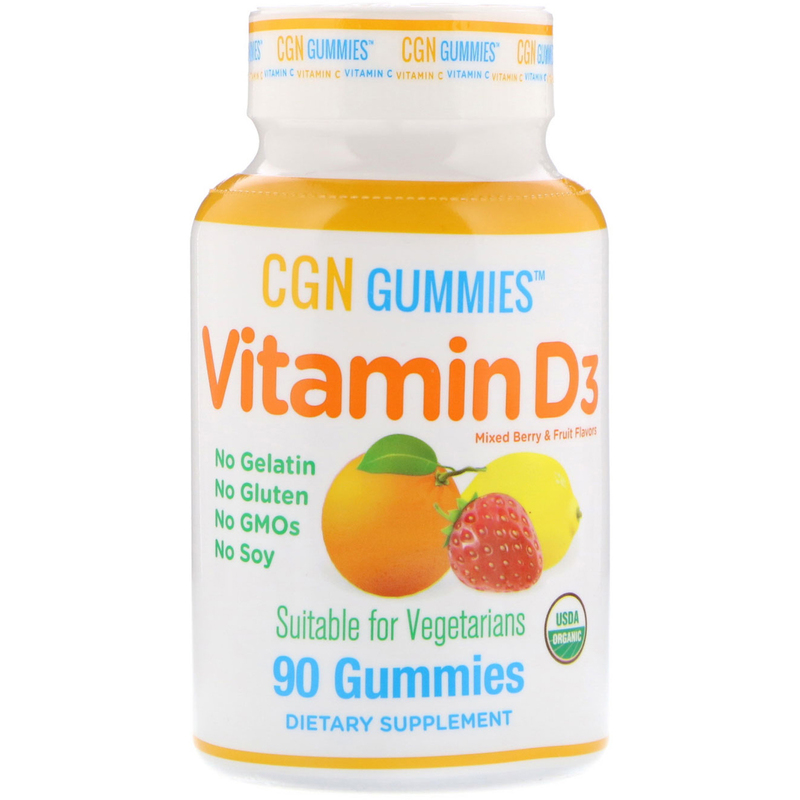 * Gelatin and gluten free, Vitamin D3 Gummies are a great tasting way for adults and children to add Vitamin D3 to their diet. Adults and children 4 years of age or older, 2 gummies daily, with or without food, or as directed by your qualified healthcare professional. Please ensure child chews gummies thoroughly. Organic tapioca syrup, organic cane sugar, pectin, organic lemon juice concentrate, natural flavors, color added (organic black carrot juice concentrate, organic turmeric, organic annatto), sodium citrate, organic sunflower oil, carnauba wax. Sealed for your protection. Do not use if seal is missing or broken. Best stored at Controlled Room Temperature (CRT) 20°C to 25°C (68°F to 77°F). Improper storage conditions, such as extended exposure to direct sunlight, high heat & humidity can cause product degradation over time. For adults & children over 4 yrs.